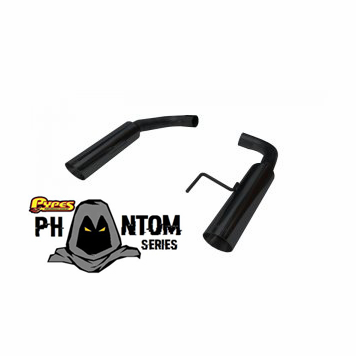 The "Pype Bomb Phantom Series" axle back exhaust system is specifically designed for the 2015-17 Mustang GT. 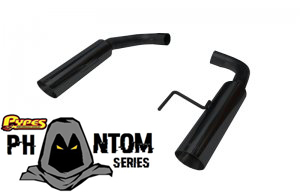 Constructed of 16 gauge mandrel bent 304 stainless steel and then poweder coated black, featuring a redesigned M-80 muffler to add a new ultra aggressive sound dimension to your GT. This kit is a simple cut and clamp installation.